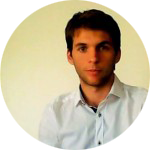 Clement Perarnaud is a PhD candidate in political science at University of Pompeu Fabra (UPF, Barcelona). His thesis focuses on political negotiations within the Council of the European Union, in particular in the context of legislative processes related to data protection and privacy. He holds a Master’s degree in European Affairs from the Lille Institute of Political Studies (France) and is currently research fellow at the Center for Internet and Human rights (CIHR, Berlin). Before joining UPF, he worked for the Center for International Studies and Research (CERI – Sciences Po, Paris) and the Research Institute on Contemporary Maghreb (IRMC, Tunis).